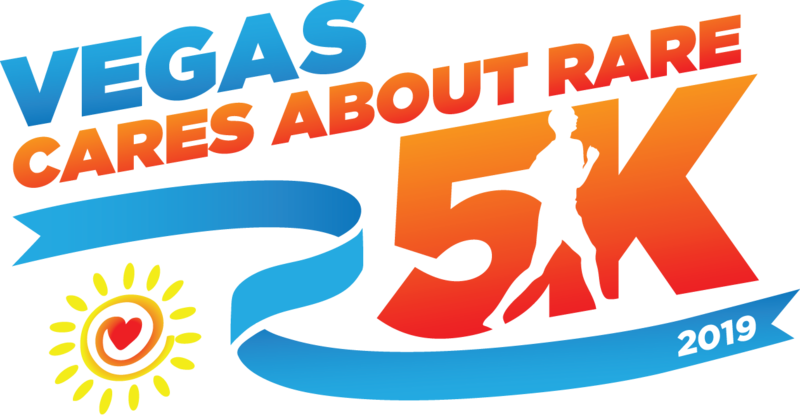 Each month, there are more than 100 children hospitalized for more than 5 consecutive days in Vegas-area PICUs. When you have a child in the PICU, you may spend days or weeks without ever leaving the hospital. We want to be able to help care for these families so they can concentrate on caring for their kids. 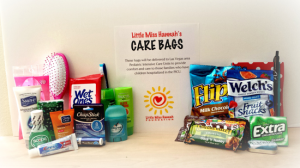 These care bags will be filled with over 30 items including personal care items, toiletries, snacks, journal, and more, and will be delivered to four Las Vegas area PICUs to provide comfort and care to those families who have children hospitalized in the PICU. This is a need that our local hospital child-life teams have been asking for help with since many of the families that end up spending time in the PICU do so without warning and are there for days at a time. We want to be able to provide a minimum of 250 bags by early 2015 and 500 bags by the end of 2015. 100% of the funds raised through this campaign will go directly towards purchasing products for the care bags. Financial Support: Consider making a donation! We are looking to raise $10,000 to help support this program to create 500 care bags for 2015. Your donation is tax-deductible. If you are part of a community organization, sports team, or school that wishes to host a donation drive, please click here for more details! If you are involved with a company that wishes to donate product for this program as an in-kind donation or have any questions, please contact us at lmhf@littlemisshannah.org or call 702-608-2488.